I think I have resisted talking about Twitter (www.twitter.com) for long enough – up until now I have sidelined this popular social networking service as I never quite understood its value and considered it to just be a passing fad. That was until this week when I was listening to the Chris Moyles show on Radio One.Despite paying a yearly TV licence fee which is designed to promote independence within the BBC and remove the financial need for advertising, they flipped to an advertisement for one of their own shows which kind of missed the point, I felt. The ridiculous voice of Tim Westwood followed; a 51 year old Caucasian man who attempts to sound like a 20 something year old living a black rapper lifestyle.He boomed in to the mic ‘it’s ya boy, Westwood’, ‘I’m walking with the big dogs’, ‘I’m going to elevate my game’ before completely contrasting the persona by dropping his Twitter user name in to the advert and asking me to ‘tweet’ him.At this point I realised that perhaps the service was a little more established than I realised and perhaps it would be around for a while. 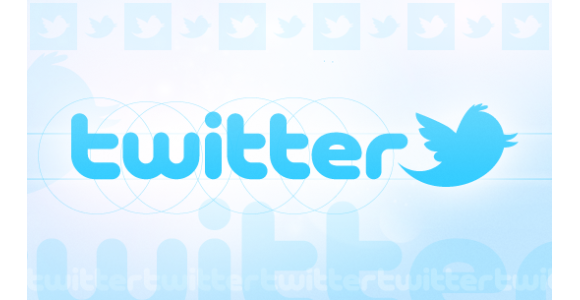 So what exactly is Twitter?The service is so simple that I think their own website sums it up best ‘Twitter is a service for friends, family, and co–workers to communicate and stay connected through the exchange of quick, frequent answers to one simple question: What are you doing?’. In essence, once signed up you can follow other users so that you get a constant feed of information relating to what other people are doing or what is on their mind.You are able to follow anyone you wish and likewise others are also free to follow your musings – as such you can easily get in contact with, and follow, a large number of people that may have viewpoints or lives that interest you. The remarkable thing about Twitter is the sheer popularity that it has amassed in its three year lifespan.Twitter is now the 82nd most popular website on the Internet with almost two million daily visits.Part of the popularity of the service may well be the number of prominent users that the service has attracted – For example, 400,000 people currently follow the daily ramblings of Stephen Fry. Messages of up to 140 characters in length can be posted via your mobile phone, an instant messaging account of directly on the Twitter website.Once broadcast those that are following you will see your update on their own twitter homepage. Another possible explanation to the popularity can probably be found by looking at the history the service appears to be making.On December 2008 it was announced that Israel would be the first government to hold a worldwide press conference on Twitter to take questions from the public on the war against Hamas.During the November 2008 Mumbai siege the use of Twitter by victims, bystanders and the public to gather news and coordinate responses lead to CNN calling it ‘the day that social media appeared to come of age’.Twitter usage increased 43% on US Election Day.